Dare2b Ladies Involve Core Stretch Top - Black. The Involve core stretch top from Dare2b is an overhead mid-layer in midweight Ilus core knitted fabric. 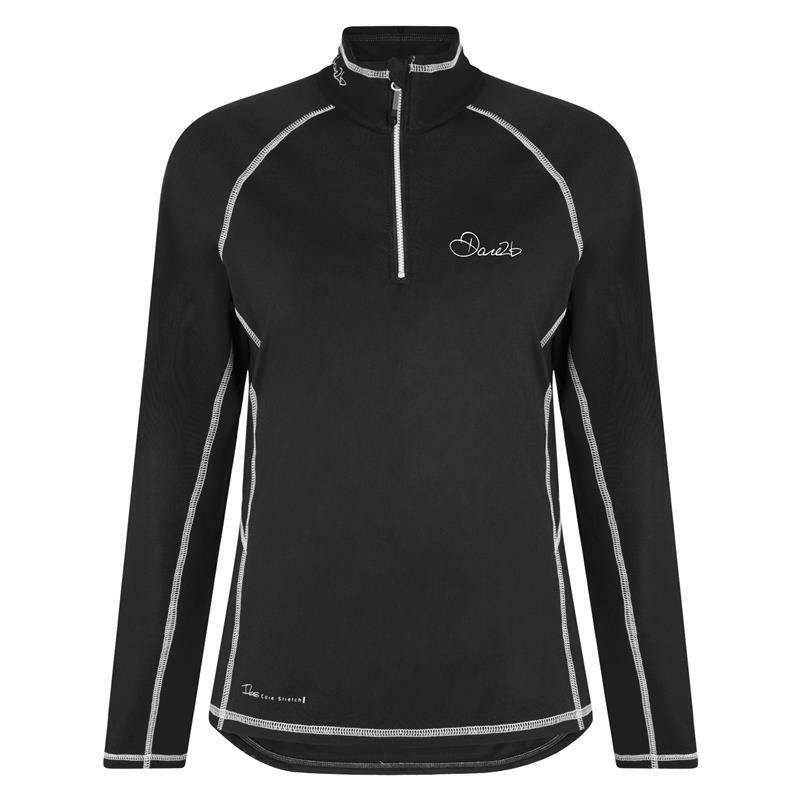 This stretchy, quick drying top is warm and light while the half zip fastening allows air in when you need it. Lightweight Ilus Core warm backed knitted stretch fabric - 180gsm.